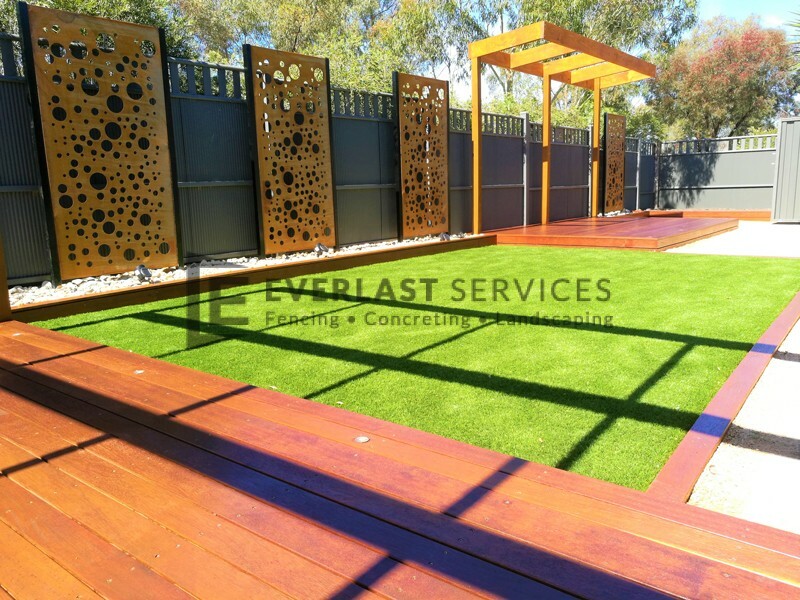 The Everlast Services team have outdone themselves with this complete garden makeover. 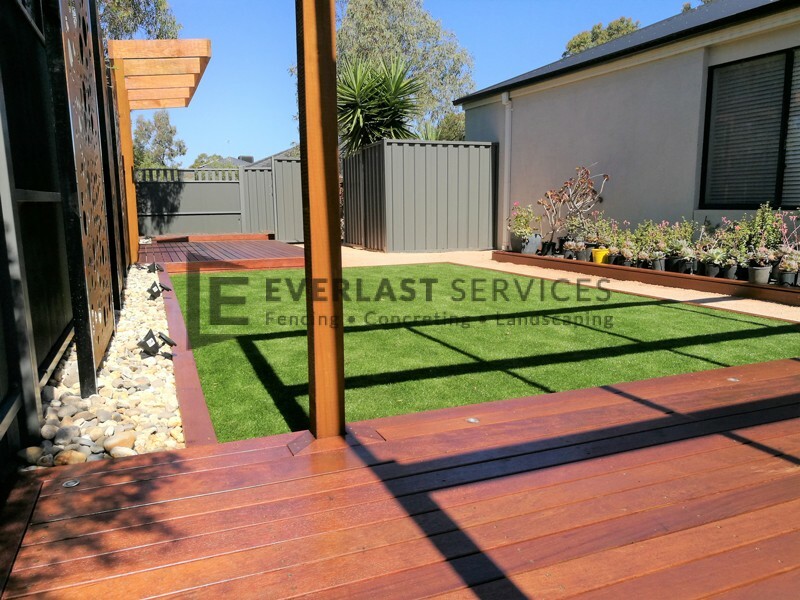 Our landscaping team took care of every aspect of this transformation, that has turned an uninspiring backyard into a living space that will provide years of enjoyment. 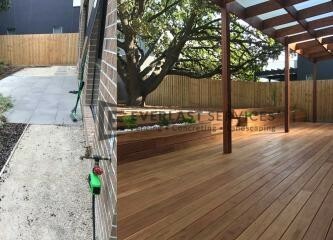 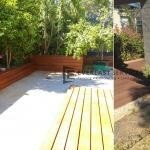 The customer wanted something that was low-maintenance, stylish and could be enjoyed all year round. 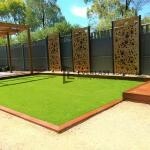 They wanted a lawn, so we suggested artificial turf as an alternative. 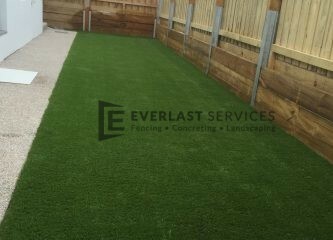 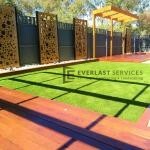 Keeping lawns green takes a lot of work, and with the incredible quality of modern artificial grass, they just couldn’t go past it as an option. 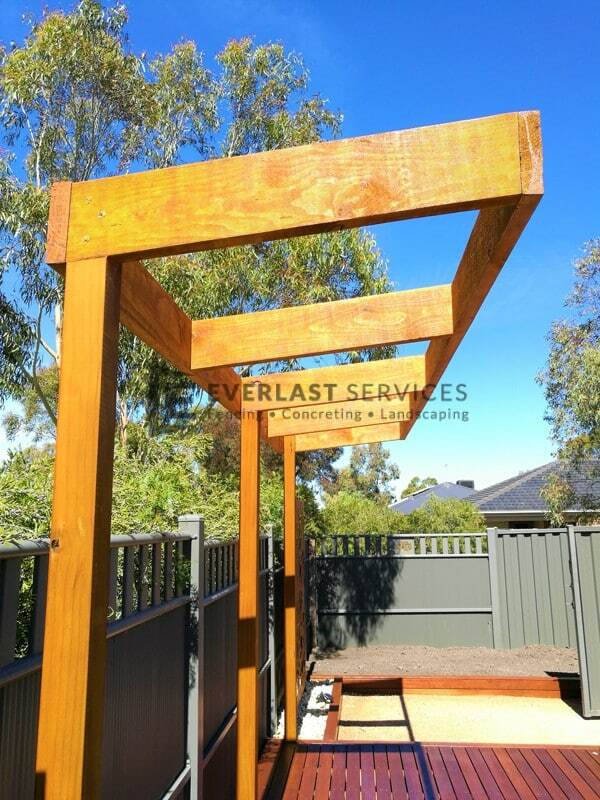 The addition of a pergola gives them so much scope for additions down the track. 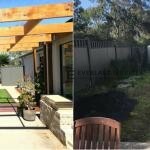 They can run vines and creepers up and around the structure to create a Mediterranean-courtyard, or they can add a roof to create a courtyard that can be enjoyed in all conditions. 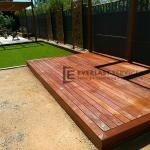 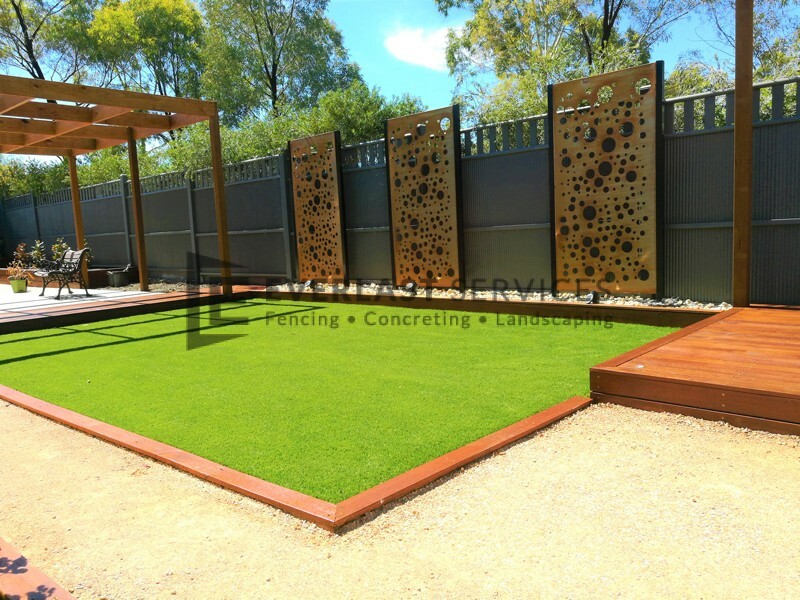 The Merbau decking, edging and garden boxes create a beautiful contrast with the deep green of the artificial turf. 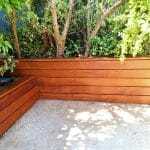 This rich hardwood is a popular choice for landscaping because it looks incredible and its natural oils make it resistant to cracking and splitting. 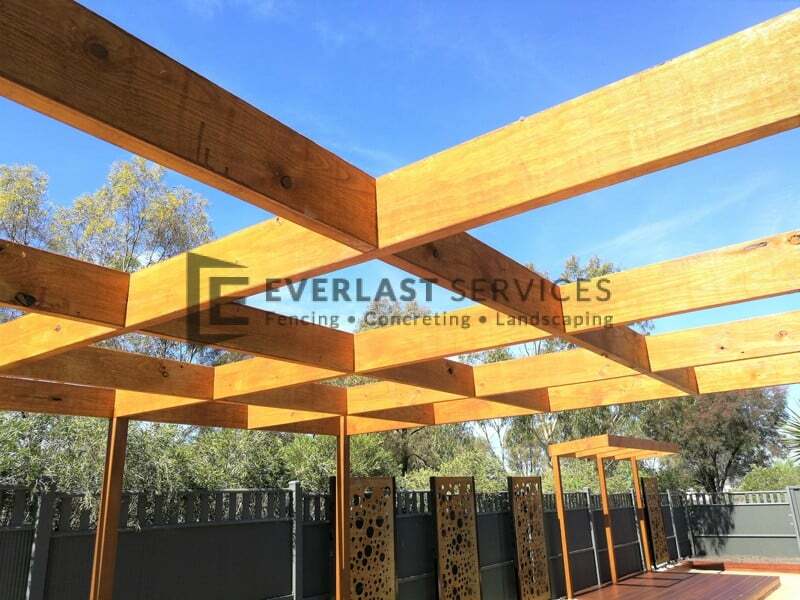 The decking extends the space of the pergola, giving the owner ample space for entertaining and relaxing. 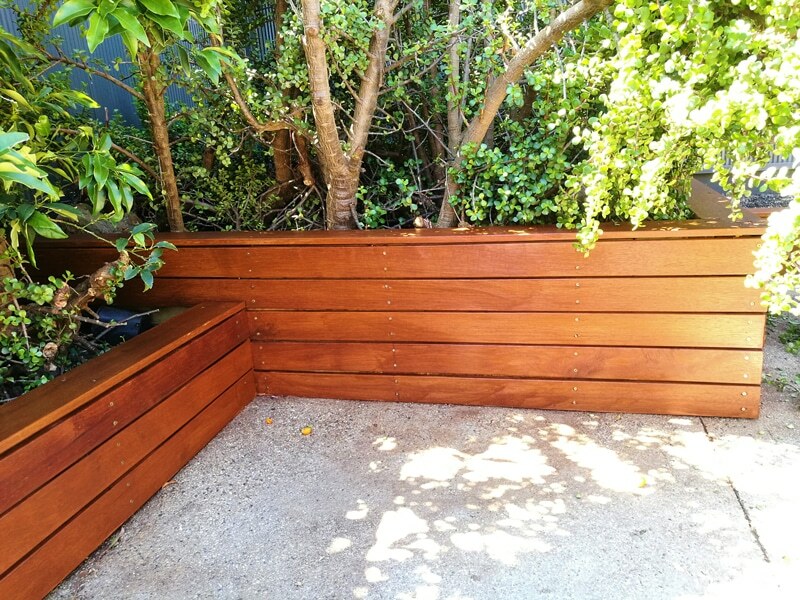 The decked area can be anything from a reading space to an outdoor kitchen. 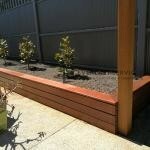 The garden boxes give the area a neat look, and the lush foliage works perfectly with the Merbau. 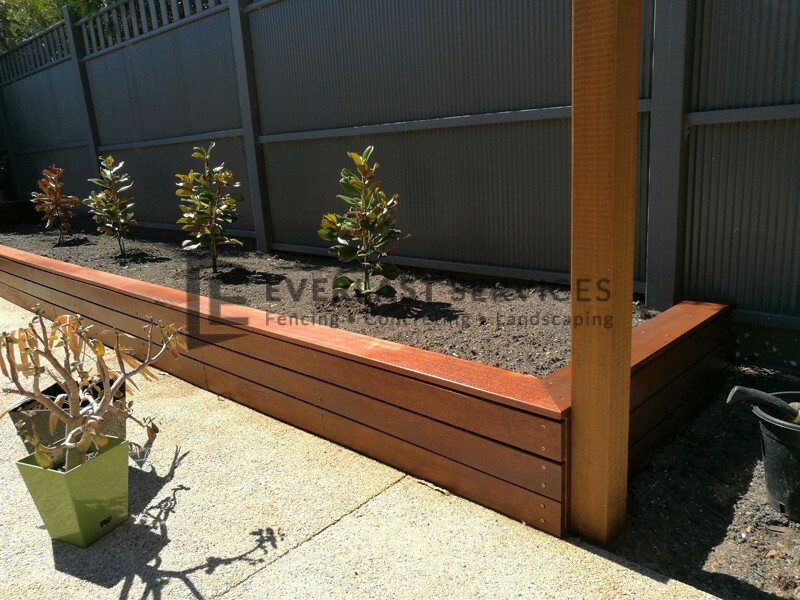 Garden boxes make gardening incredible easy, they reduce maintenance by limiting the areas that need to be weeded, and they allow for the creation of nutrient-rich garden beds by making mulching and fertilising easier. 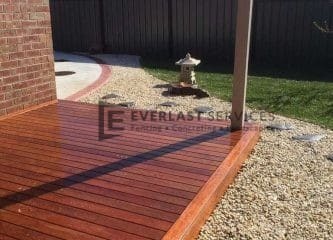 The owners were thrilled with the final product, and it is a demonstration of the variety of skills we have in our team. 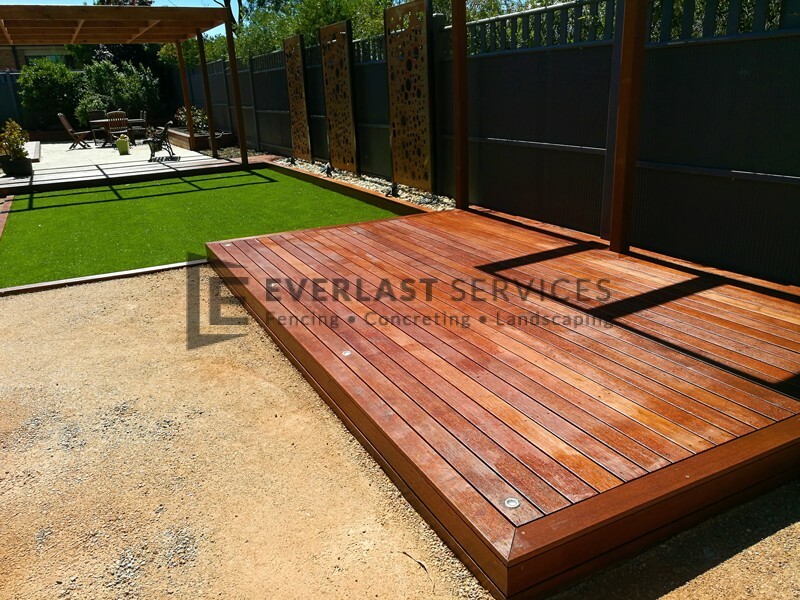 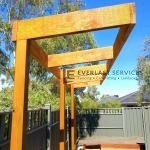 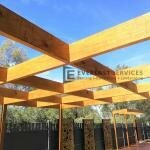 Excellent carpentry and landscaping skills have come together to provide the customer with a landscaped area that is versatile, low-maintenance and stylish.